"Features more blood and blasphemy than any mainstream comic in memory. Cool." Available for the first time in hardcover, preacher Jesse Custer begins his dark journey to find God, in this volume collecting PREACHER #1-12, plus pinups from PREACHER #50 and #66. 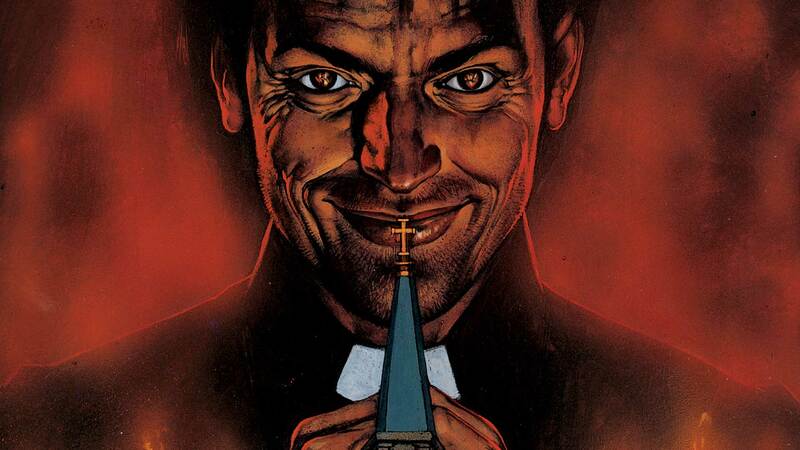 After merging with a bizarre spiritual force called Genesis, Texan preacher Jesse Custer has become completely disillusioned with the beliefs to which he had dedicated his entire life. Now possessing the power of "the word," an ability to make people do whatever he utters, Custer begins a violent and riotous journey across the country. Joined by his gun-toting girlfriend Tulip and the hard-drinking Irish vampire Cassidy, Custer loses faith in both God and man as he witnesses dark atrocities and improbable calamities during his exploration of America. This new collected edition features an all-new introduction by series writer Garth Ennis.